1992, 8½x11", deluxe hard cover book, 168 pages, indexed, includes photos and documents. 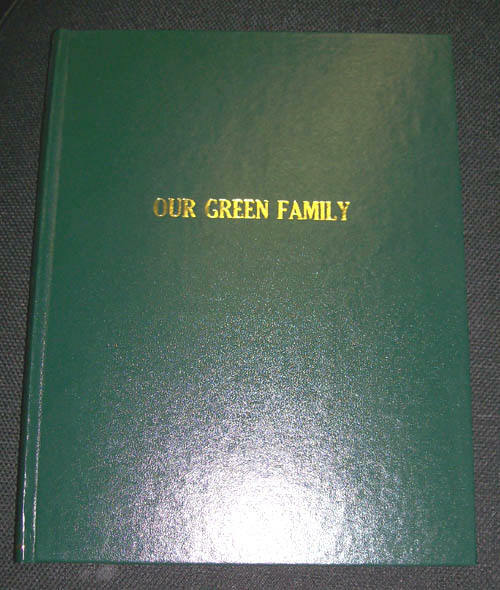 ...This book contains the major bulk of family information that has been collected from various family members, court house records, Bible records, and all types of other research materials. * The hope of Volume 2 is still alive! Send your information to Fredrea Gregath Cook, here at Gregath Company, Inc.
...Our Native American Green family found themselves in the predicament of white encroachment on their southwest Virginia (VA) lands and in 1761 had moved to western North Carolina. By 1789 they had moved to the area of the Georgia (GA) and East Tennessee (TN) border. The family, along with many of their friends moved to Henry County, Kentucky (KY), before 1800.